Does Pull Ups Work Abs? The Answer Will Surprise You! →Does Pull Ups Work Abs? The Answer Will Surprise You! Pull up—this is one of the most common yet hardest exercises that we will ever have to do. Yet, many people try to incorporate it in their daily routine simply because they want to take advantage of the benefits that they offer. If you are one of these people, you might be aiming to work out your abdominal muscles but does pull up work abs? If you want to know if this exercise can help you achieve the six-pack abs that you have always wanted, we suggest that you read this article! Does Pull Ups Work Abs? The Pull Up Variations You Need To Maximize Your Ab Workout! For your information, the pull up is an upper body exercise, meaning that it mainly targets the upper muscles—the muscles located above the belt. These include your back, arms, and shoulder muscles. Despite this, you generate a good amount of tension in your midsection area every time you do pull ups. In order to generate force for a pull up, you need to contract your abs and pull your body upwards. In short, yes pull up work abs but this is only when you do pull ups the right way. This is also called Latissimus dorsi and is said to be the flat muscle that stretches from your back to the sides of your body. This is the muscle that is being worked out when you bring your body closer to your upper arms during a pull up. Many people do pull ups in order to tone and sculpt their arms. These people are targeting their biceps, the major muscles covering your arms. When doing pull ups, these muscles work with your lats in pulling your body upwards. But please keep in mind that if you want to achieve perfectly shaped arms, you need to do more than pull ups. There are other arm exercises that you should perform. Depending on your grip, you also have the chance to stimulate the muscles at the back portion of your arms or the deltoids. To target these muscles, we recommend that you perform pull ups with a wide grip. A neutral grip works good on your deltoids too. This is the major muscles that start from the back of your neck down to the half of your spine. It also covers the muscles besides your arm muscles. The vertical pulling movements in the pull up are the ones responsible for working it out. These make up the major portion of your chest muscles. You may not notice it as you do the exercise but these muscles assist your lats in pulling your body upwards. This is the go-to move if you wish to target your lower abs. To do this, hang from a bar and keep your legs straight. Keeping your chest up, contract your core and glutes then pull your knees up to your hips. Hold this position for a few seconds then slowly bring down your feet. This is another pull up variation that can target your lower abs. Once again. Hang from a bar—don’t pull yourself up. Keep your chest up and contract your glutes and core but instead of bringing your knees up, bring your feet to the same level as your hips (keeping it as straight as possible). Hold the pose for a few seconds the slowly bring your feet down. This is a more advanced ab pull up variation and it targets the obliques or the muscles at the side of your abs. Hang from the bar then brace your glutes and abs and bring your knees up to hip height. Instead of holding that pose, twist your knees to one side as you bring them up. Now, hold that pose for a few seconds then go back to your original position. Do this for twelve times on each side. Keep in mind that you should alternate sides for every rep. This is a bit more difficult than the first three pull up variations that we have provided but the good news is, it targets the entire core so it is certainly worth doing. The beginning position is the hanging knee raise (with your knees raised already). Keep your core contracted and bring up your knees as high as you possibly can (assuming the fetal position in the process). Go back to the original position while keeping your muscles contracted all throughout the move. This is most probably one of the hardest pull up variations that you can try but just like the previous variation, this one works out the entire core too. Hang from the bar while keeping your legs as straight as possible. Brace your abs and glute muscles and raise your legs up to the same level as that of your hands. From this position, keep your muscles still braced and tilt your feet to one side (resembling the movement of a windshield wiper). Bring it back up then tilt to the other side. Do this move six to eight times. It is true that these moves can help you work out your abs and biceps at the same time. But please keep in mind that they are far more challenging than the basic pullups. It is recommended that you master the basic pull up move and form first before you advance to these moves. A pull up bar should be sturdy and reliable and will keep you safe and secure as you do the workout. On the other hand, the wrong pull up bar will increase your chances of getting into an injury. To make sure that you are using the right pull up bar, we highly recommend that you check out a few product reviews to determine which pull up bar is the most suitable for your needs. No matter how beneficial a variation is, it won’t do you any good if you fail to do it properly. Because of this, it is recommended that you choose a variation that is just right for your fitness level. By doing so, you can be able to achieve proper form and get stronger at the same time. When you visit the gym, you will see people performing pull ups with a limited range of motions. It is either their pull ups are not low or high enough. In short, they are doing half pull-ups. If you are one of these people, you should know that you are doing your body a great disservice as not doing a full rep means robbing your body of its opportunity to become efficient and strong. To avoid this, make sure that your body is in a straight line after every repetition. Your elbows should be fully extended and the elbows are only slightly up your ears. Many people think that the wider their grip is, the more they can be able to work out their lats. For your information, that is not true. In fact, a wider grip will just increase your risk of injury and may even reduce your range of motion. Yes, pull ups is one of the most popular bodyweight training exercises being done today and these are due to lots of good reasons. This workout targets and strengthens the upper muscles, boosting our functional strength. But does pull ups work abs? Yes, they do—when they are done right. This is most especially true if you will perform the pull up variations that we have mentioned on a regular basis. If you have other pull up tips that you would like to share with us, please drop your comments below! ​Hi there! I'm Mark Roose. I am an educated fitness coach with a master degree in Sports Education, and more than ​9 years of working in fitness industry. I love doing and teaching fitness because in my own little way, I am able to encourage people to take health back into their own hands. What Are The Best Isometric Leg Exercises? Is The Hammer Strength Chest Press Really Helpful? How And Why? Calisthenics Exercises List: What Are The Exercises You Need To Know? Who Is The Best Table Tennis Player of All Time? Find Out Here! XBodyShape.org is a participant in the Amazon Services LLC Associates Program, an affiliate advertising program designed to provide a means for sites to earn advertising fees by advertising and linking to Amazon.com. 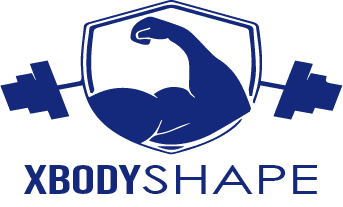 Additionally, XBodyShape.com participates in various other affiliate programs, and we sometimes get a commission through purchases made through our links. Copyright text 2018 by Exercise and Fitness Blog - Xbodyshape.org.